Apartment Condo, Townhome or Attached Bungalow: What’s Best for You? Home ownership, it’s a big decision and most certainly your most significant lifetime expense. So how do you choose the best home for you? The answer may lie in the decisions about lifestyle as much as it is about property type. With housing prices continuing to rise, alternatives to the detached, single-family home are increasing in demand; and not just among first-time homebuyers. While millennials are flocking to condo-style dwellings, baby-boomers and soon-to-be retirees aren’t far behind. The many advantages of condo living are enticing! More people are looking for a home that suits their come-and-go lifestyle. For developers, this means the focus is shifting to fresh new townhome, condo, and attached bungalow communities but even though they suit a contemporary, urban lifestyle; there are some home styles that may appeal to you more than others. No matter which option you choose, you're going to receive the benefits of a low maintenance lifestyle. An apartment condo, a new townhome, or an attached bungalow complex - they all offer this. But none more than apartment condo living. StreetSide Development’s new Origins at Cranston and Vivace at West 85th condo developments are no exception. Unlike attached bungalow communities or townhome neighbourhoods, condo living is maintenance free. Seasonal yard care, exterior upkeep, building repairs and renovations are all taken care of by the condo board. This means all you have to think about is your own, personal space, and nothing more. But there’s more to condo living than just the freedom it provides. Apartment condo living is also be one of the most affordable housing options. For this reason, condos have become attractive to many people. First-time homebuyers and near-retirees who think it might be time to downsize love them. StreetSide’s Origins at Cranston one-, two- and three-bedroom condos start in the $170’s, for instance. The trendy new Vivace at West 85th development in West Springs starts in the $280’s. Even with their friendly price points, neither are short of features and upscale finishings. The Origins at Cranston development is packed full of standard features. Things like stainless steel appliances, designer lighting, walk-in closets and contemporary flat panel cabinetry. At a marginally higher price point, the Vivace at West 85th development boasts standard premium finishings as well. Such as your choice of quartz or granite countertops, stainless steel appliances, in-floor heating and spa-inspired bathrooms. Features and flexibility extend into floor plans and layouts as well. Most condo developments have a variety of floor plans to choose from, offering anywhere from 600 to 1,200 square feet. The total square footage depends on the number of bedrooms and bathrooms. Apartment style condos also typically include storage space on-site and spacious balconies or terraces. For the apartment condo owner, there’s no lack of flexibility when it comes to features, finishings, floor plans, and layouts. And for urban living, even the most premium condominiums come with a friendly price tag. Like apartment condos, townhomes are also a fantastic home option if you’re looking for a low-maintenance lifestyle. Townhome communities like Kintalla at Redstone (which is almost sold out by the way!) and Killarney Townes neighbourhoods offer spacious interiors with individual driveways, garages, and green space. Just like condos, townhome developments often include association fees that will take care of general seasonal and exterior maintenance. Some developments leave basic seasonal care to the owner, but so long as a little tidying up isn’t of too much inconvenience, townhome living is really quite limited in its demands. Where townhomes stand out from condo living is in the interior space. StreetSide’s Kintalla two- and three-bedroom townhomes start at approximately 1,200 square feet depending on the bedroom and bathroom combination. The Killarney Townes development ranges between 1,700 and 1,900 square feet and have a fixed 3-bedroom floor plan. Both are a significant jump in interior space from traditional condo developments. The jump in interior square footage is matched by a higher starting price. Whereas the square footages of condos are all within close range, townhomes vary widely. However, starting prices can differ significantly based a few factors. The location of the neighbourhood, proximity to city centre and local amenities all come into play. For example, the suburban Kintalla townhome community starts in the $300’s while the luxury Killarney Townes development starts from the low $600’s, and is situated just minutes from Calgary’s downtown. Add in the fact that premium interior features and finishings which are consistent throughout a larger home and the higher price range makes sense. Townhome living offers a balance of interior space and a low-maintenance lifestyle. While townhomes are typically more expensive than apartment condos, the extra features of green space, individual garages, driveways and additional square footage may be worth it. This is especially true if you’re looking for urban living with a bit more room. A relatively new concept, the attached bungalow is a unique, single-level townhome-like design stacked one on top of the another. 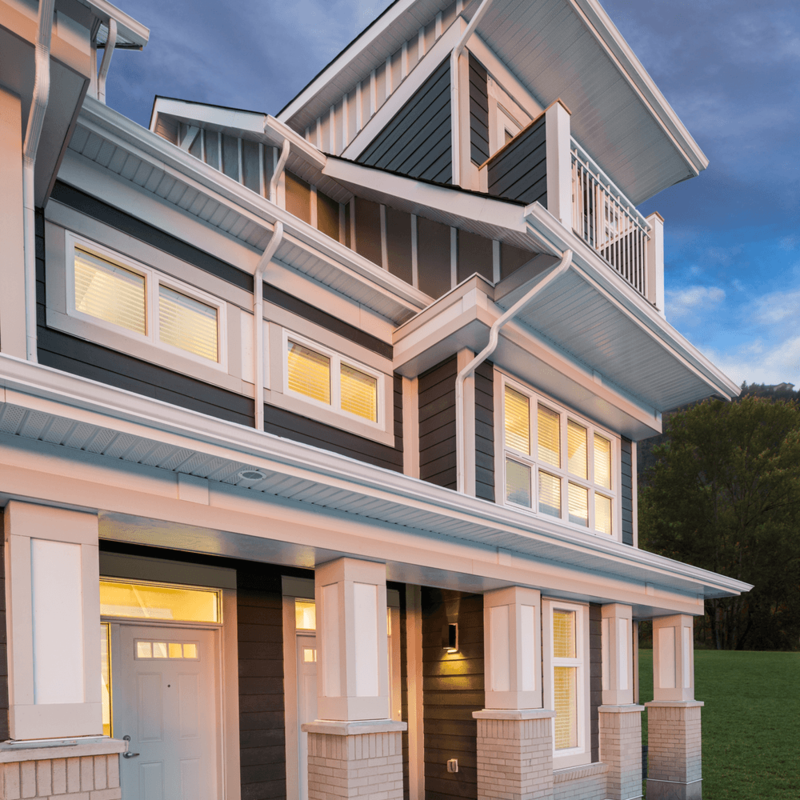 Probably the closest neighbour to detached home living, the stacked bungalow features double car garages, driveways and spacious square footage. An attached bungalow is similar to a detached home but requires a fraction of the maintenance. Starting in the $470’s, StreetSide’s Hunter House neighbourhood offers a truly unique urban living experience. Like traditional townhome living, the attached bungalows offer personal garages and green space. But what separates these units from the traditional townhome is they have a little more space to sprawl. Each bungalow boasts a large deck or balcony, convenient BBQ gas hook-up for entertaining and 10' ceilings. It has a little more of a country home feel, despite being in the city. 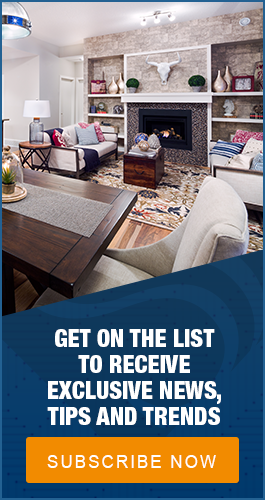 These perks are in addition to your standard line-up of premium interior features including quartz or granite counter tops, stainless steel kitchen appliances, kitchen backsplash and hardwood flooring throughout. In case you thought bungalow living meant more yard care, think again. Developers have kept convenience and freedom in mind with the Hunter House neighbourhood. Rare among bungalow communities, Hunter House provides year-round snow removal and landscaping. That means you can take seasonal tasks off your to-do list! Averaging around 1,500 square feet, attached bungalow living could be the perfect fit for you. You get a private, stand-alone neighbourhood feel, while still enjoying the freedom of low-maintenance living. There is one common thread with all three of these options: freedom. Developers have made lifestyle a priority in new urban developments. They are focused on providing the most desirable home features while ensuring that maintenance and home care are at a minimum. With a variety of price points, floor plans and square footage to choose from, it may just come down to your preference. As contemporary urbanites become more and more active, developers are meeting the demands of those with an active lifestyle. They are providing home options for every stage of life.